Preparing to play his part in what he hopes will be a World Cup win for France, this Sunday, N’Golo Kante is suddenly becoming the subject of much speculation in the media. Having already covered the interest expressed by Paris Saint-Germain, Click Here, it now appears that another giant of European football are looking to acquire the services of the 27-year-old. According to the popular news source, Sky Sports, Barcelona are keen to tempt the player to the Nou Camp. However, in trying to tempt Chelsea into parting with the best midfielder of his type in world football, the Catalan club are looking at doing a player-plus-cash deal. As well as offering Chelsea what we hope would be a significant fee, Barcelona are willing to include their 24-year-old Portuguese midfielder, Andre Gomes, in the deal. Now, hopefully, Chelsea won’t be tempted to sell, Kante is world-class whilst Andre Gomes is merely a bit-part player at Barcelona. If Chelsea are to climb back to the pinnacle of English football then this isn’t the kind of deal that appeals to me. 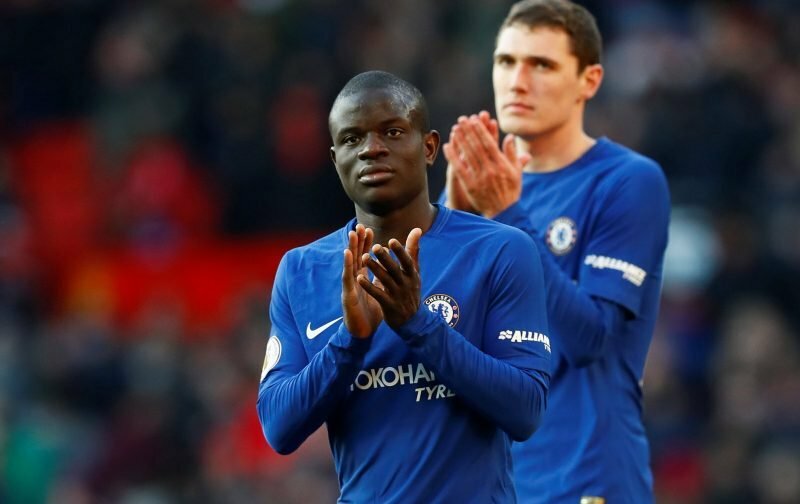 If Kante is sold this summer then Chelsea have to get as much cash for the player as possible and let the new management team decide who it is spent upon. But what are your views on the above subject matter? Please feel free to air your opinions in our comments facility beneath this article. never in history, not in this seasons! don’t lose gold for bronze. Chelsea should on no account sale either Kante , willan or hazard… Else they won’t find it easy.. It will be the dumbest thing to do, non of those players must be allowed to leave, especially Kante and Hazard,finding replacements will be very difficult. Kante is untouchable if Chelsea really want to challenge top clubs or be competitive. Who is Gomes. Oh please. If Barça are so desperate, 1Billion Ponds for Cante, then we will think about it. Because there is only one Cante the world of football have ever seen. And there is no another Cante anywhere. On a serious note, Mr. Abrahamovic is not silly to let go of Cante and Eden Hazard. They are going to signed an improved deal at Chelsea FC and remain here with us. Thanks but no thanks Barça. Honestly these three players are few of my reasons for supporting Chelsea football club. To be honest they are the nucleus that drives the club. Chelsea must not sell any of them sales of any will spell doom for the club. Hazard, cante & williams are just three emerged in one body to be called “Chelsea ” except if Barcelona is ready to swap messy for cante. We can’t exchange him for any cost. For now he is Chelsea’s shield in football game.